Do you want to receive a Statement of Attainment for your training? 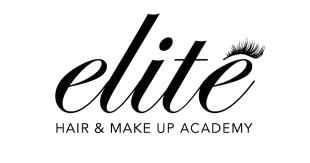 Elite Hair and Make-up Academy in conjunction with Doyles Academy, are pleased to offer you the opportunity to receive a Statement of Attainment from SHBBMUP002 Design and apply Makeup, as well as their Make-up Artist Essentials Certificate. Your Statement of Attainment can be used as a pathway to a Certificate III in Make-up and many other accredited courses within the beauty industry. Make-up Artist Essentials is a practical based course, which focuses on students completing practical work within studio hours. To receive a Statement of Attainment, in addition to completing Make-up Artist Essentials, the student will be required to complete work book activities, additional make-ups and a written assessment outside studio hours. So what is an Accredited course?Accreditation means the course is nationally recognised and that a registered training organisation (RTO) can issue a nationally recognised qualification or Statement of Attainment following its full or partial completion. A Statement of Attainment is a list of individual units or subjects completed within a course. An accredited course means that the course or unit completed is recognised within different states or territories of Australia. What’s involved?As well as completing the Makeup Artist Essentials course which consists of 30 hours studio work, you will be required to complete additional make-ups outside of your studio hours. In addition to your studio work, which is practical based training, you will be required to complete a work book with activities and both a practical and written assessment. You will need to submit images of your work with corresponding face charts. What do I need to do?If you want to advance your learning and get an accreditation. Please give us a call on (03) 9614 0129, we will email you an application form. What are the extra costs?There is an additional fee of $350 which needs to be paid on application. Please give us a call on(03) 9614 0129, and we can email you an application form.